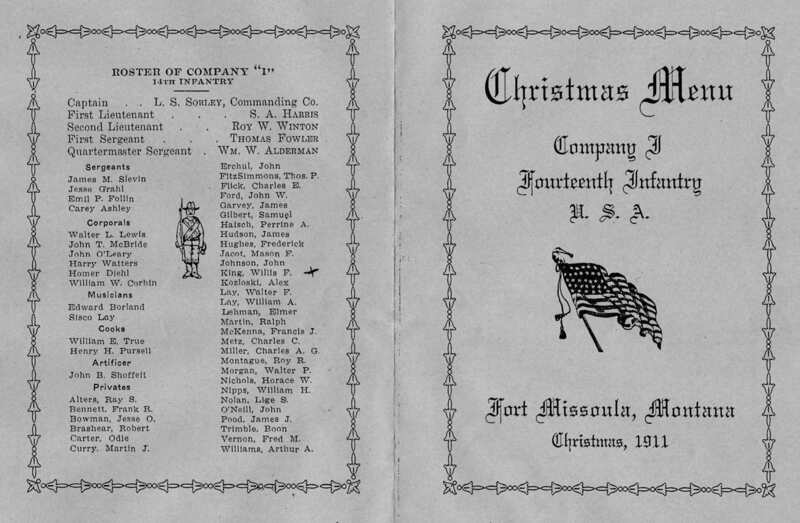 I’ll be posting more material on Fort Missoula in the coming weeks, but I thought people might be interested in a 1911 Christmas menu from Company “I” of the 14th Infantry. A battalion (four companies and 240 men) of the 14th Infantry were stationed at the Fort from March, 1910 until February 25, 1913. 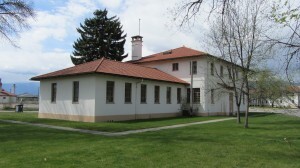 The same battalion returned to the Fort in October 1914, and stayed until the following April. 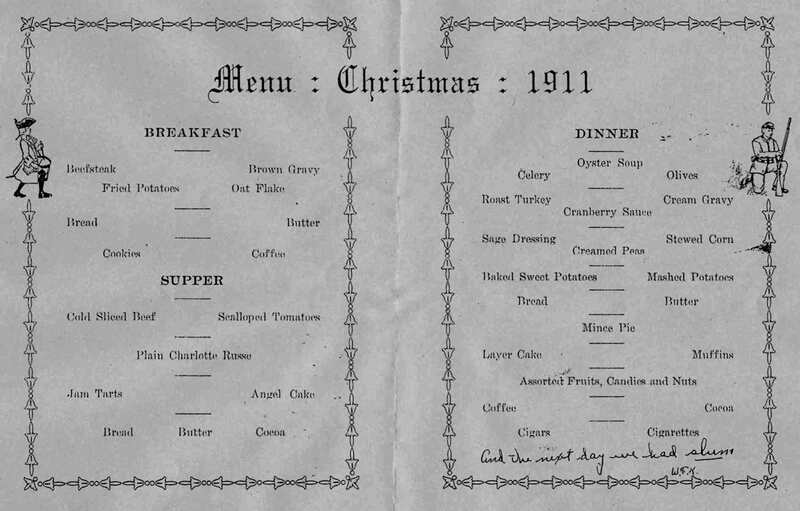 While life at a frontier military post may have been spartan at times, every effort was made to make Christmas dinner at Fort Missoula a special occasion. While Army rations were often Spartan, local farmers and ranchers, plus the fishermen and hunters on the post were able to provide a variety of fresh food and local fish and game. “That Beautiful Little Post: The Story of Fort Missoula” will be in bookstores Spring of 2013. You can find more information here.